Hello there! How is everyone? I'm still here, just a little more quiet than in the past. I hope everyone is having a great summer! It's been a busy one for me. I moved to North Carolina few months ago and I'm really enjoying it. The area is beautiful, the people are nice, and the food is good! I've always been a big fan of Southern food. I've been instagraming a lot of the food I've been trying, so feel free to follow along at Wanderlustpig. 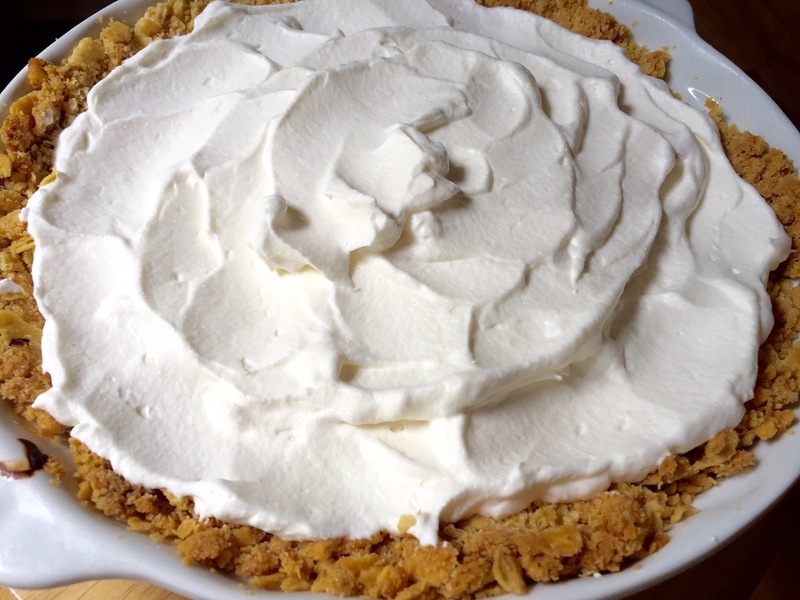 I thought it would be suiting to bake a pie native to North Carolina for the blog. 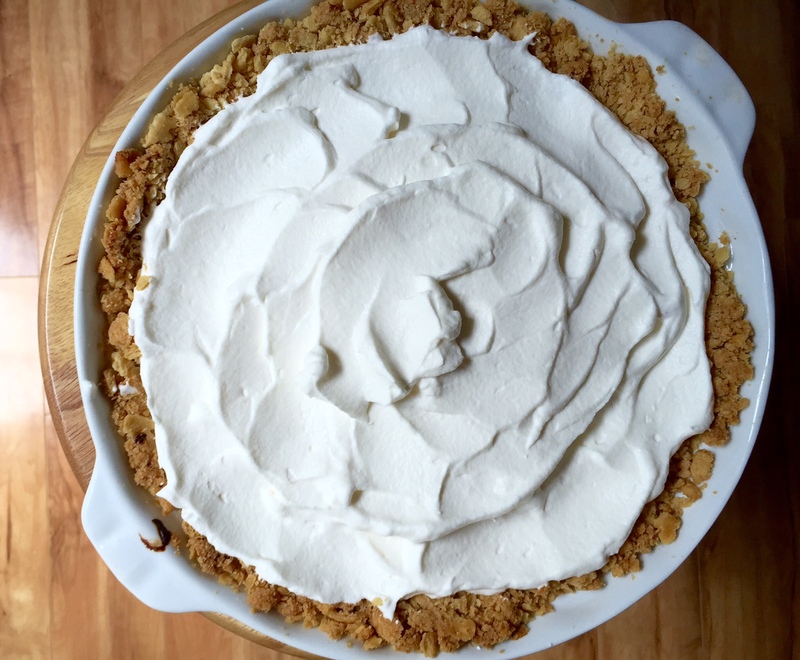 I baked Atlantic Beach Pie using this recipe from Food52. The recipe is from Bill Smith, a chef at Crook's Corner in Chapel Hill. I haven't been to Crook's Corner yet, but I really want to. 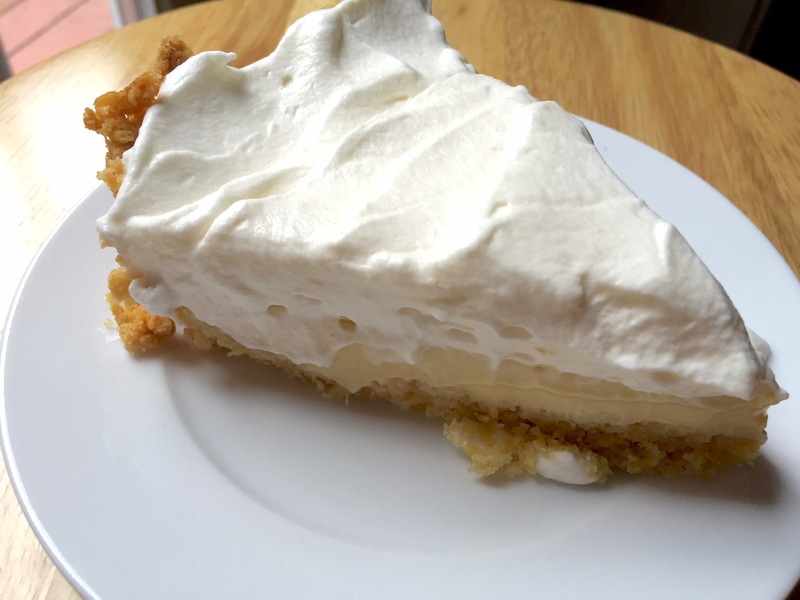 The pie was soo easy to make, which is exactly what I want during these lazy days of summer. The crust is made up of crushed saltines, softened butter and sugar. I was unsure if the crust would taste good, but it does! The filling is simple as well: just egg yolks, fresh lemon or lime juice and sweetened condensed milk. I topped the pie with fresh whipped cream and a sprinkling of sea salt. The filling set up beautifully and tasted like key lime pie. It's definitely not the prettiest pie you'll ever see, but it's refreshing and easy to make. 17 comments on "Atlantic Beach Pie"
I think it's pretty! I used to make a pie with those ingredients, and it was addicting. I love the idea and look of the saltine cracker crust - gonna try it. Hi Linda! Thanks for stopping by. I know this must be really awesome tasting. Years ago I had a recipe for some kind of lemon coconut bar that used Saltines as a base. Raleigh is quite a change for you geographically, but they say it's an up and coming foodie city, so it's a good place for you! That sounds like my kind of bar. Lots of great food here! Let me know if you're ever in the area, Rachel, and I'll take you out. 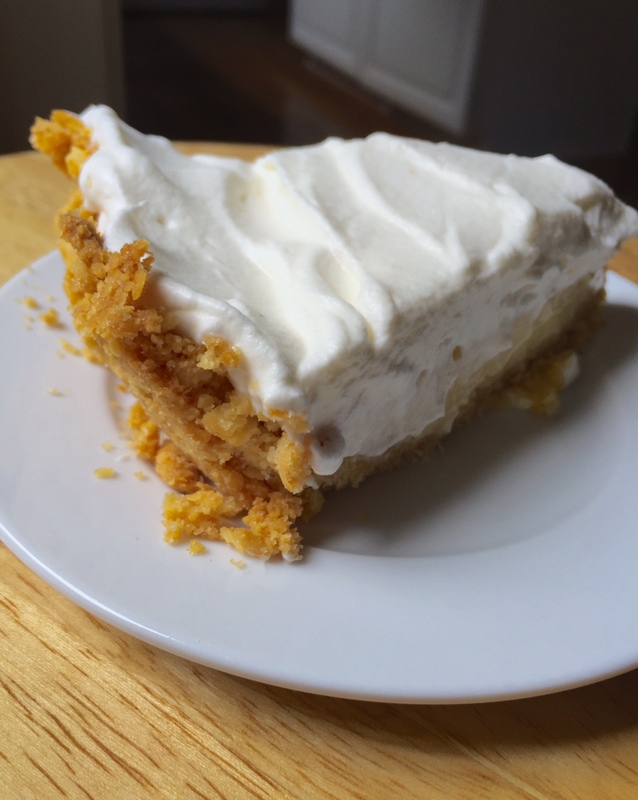 Great looking pie and so easy! What took you to North Carolina? I've always wanted to visit there - there's so much variety with ocean, mountains and everything in between. Hey Em! Enjoy the south! Your pie looks even better than the Food52 one!!! A saltine crust with sugar is completely new to me. The whole thing sounds fabulous. I was surprised the crust was so good! Looks very good and I am always on the lookout for another good pie recipe! Give it a try, Debbie! Emily, I made this pie last week. It is definitely on of the easiest pies I have made. I added blueberries and strawberries on top for the zest! Yum.